National Children’s Book Week is April 29 - May 5 and we'll be joining hundreds of participating indie bookstores, libraries and schools to celebrate our commitment to inspiring the next generation of young readers. Please join us for a special story time on May 4th at 11am hosted by Caitlin Jordan, the enthusiastic children's buyer for Kepler’s Books. Please RSVP to join us for a wild & silly time with the young ones in your life. 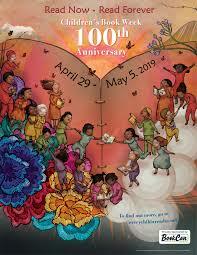 The first 50 people to RSVP for this free event will get a complimentary copy of the 2019 Official Children’s Book Week poster illustrated by the beloved author Yuyi Morales.